Fill out the form below to Get Turf! Legacy Green Solutions, LLC is a family-owned business in Chandler ARIZONA. Professional trained specialists do all of the initial consultations, measurements and quotes. We answer our own calls and pride ourselves in establishing a professional, yet personal, relationship with our customers. We enjoy enhancing the beauty and value of your home or business with the addition of artificial/synthetic grass or a putting green. The Legacy team uses its golf experience to help design putting greens. Legacy implements over 40 years experience working with homeowners needs and wants to help create an attractive, as well as functional, landscape in Chandler ARIZONA. Our Project Manager is on-site for every installation as he oversees our crew. 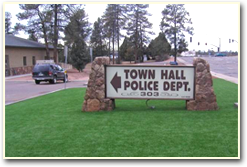 Legacy has over 40 years experience of daily turf installation in Chandler ARIZONA and other valley cities. Legacy Green Solutions provides professional installation of the highest quality product. The turf is guaranteed by the manufacturer for eight years. We have thousands of locations that can be visited by appointment so our customers can see, feel, walk on, and play on our turf. Legacy Green Solutions is licensed, bonded, and insured and has an A+ Rating with the Better Business Bureau in ARIZONA.